We know from the real estate crash of 2008 that there were a lot of people who bought homes without a thorough understanding of their mortgage. We know that some lenders were not forthcoming about disclosing the details of mortgages to their clients. All that has created new lending regulations in which lenders are now required to disclose details, make certain that clients understand their loans as best they can, and have documentation that shows clients were given details of the loan requirements and penalties. That’s all well and good. What this means for you as a home buyer or seller, is that starting in October, loans might take longer to process than before, and you might need extra time to close the loan than real estate professionals are typically accustomed to. The changes are known in the industry as TILA RESPA Integrated Disclosure, but your lender and Realtor are likely to call this, TRID. Real estate contracts have a closing date written into them. This date is negotiable, is typically based on time needed for buyers and sellers to move, and on the ability of the buyer to obtain financing. In the past, as a rule of thumb, barring any moving deadlines, sale contingencies, or specific directives from a lender, we were able to plan on a cash purchase taking about 2 weeks, a conventional loan 30-45 days, and a standard FHA loan about 45-60 days. More complicated loans do exist and we would work closely with the lender to try to determine a closing date. Once that closing date has been agreed to, to change it requires more negotiating and new signatures of all parties. It can get very difficult to renegotiate this date once it has been agreed to so we need to be as accurate as possible about this from the beginning. Having a knowledgable and communicative lender is crucial to getting solid closing information from the start, and with TRID changes, having a good lender is even more critical. 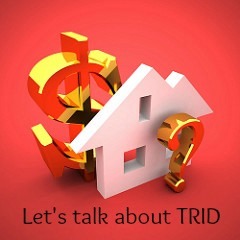 What TRID changes is how the loan and all costs associated with it, are disclosed, how the lender complies with those new rules, and the timeline for final delivery of the loan details to the buyer. This timeline can be fluid, creating difficulty with moving dates, same-day closings, and other logistic problems, and that’s why Realtors and lenders are advising building in extra time for closing. Borrowers will have three days after receipt of the Closing Disclosure to review the information, any changes that need to be made will start a new three day period. This could get tricky and that’s why you need a lender who will be proactive, and communicative with you and your agent from the very beginning. Check with your Realtor to make sure they have a closing cushion in the purchase contract. Some Realtors, myself included, are using an addendum that speaks directly to TRID regulations and discloses that government regulations must be met and any lender-required extensions will be agreed to, but in the end, this will compel all of us to work more closely than we might have in the past, which is great for buyers and sellers, and having the loan details spelled out to you so can be as informed about it as possible is something that should have been done all along.  If you have any questions, be sure to give me call, Teri Lussier, 937-478-7781.